Just 2 miles south of Jamaica Inn, this simple, quiet hideaway, situated above the owners' small saddlery workshop, in the upper River Fowey valley on Bodmin Moor, designated an Area of Outstanding Natural Beauty. Walking, riding, golf and wildlife watching nearby. 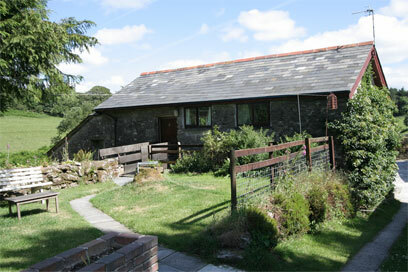 Ideally located for exploring Cornwall with both the north and south coasts under 25 miles away. The Eden Project is 23 miles. Shop/garage 7 miles, pub 2 miles. One bedroom. Gentle slope up to garden. Short fenced bridge to entrance. Open plan sitting/dining room with kitchen area. Double bedroom. Shower room/W.C. Sleeping platform (low headroom) overlooking sitting room with palliasse (for + child) – access by rigid ladder, unsuitable for children under 8 years.